According to multiple sources, Dan Bongino, the 2012 Republican nominee for U.S. Senate in Maryland and the 2014 Republican nominee for Maryland’s 6th Congressional District, is set to announce his entrance into the crowded Florida U.S. Senate race on February 22. The Florida race to replace outgoing Senator and presidential candidate Marco Rubio is heating up. Another Republican candidate, Ilya Katz, is running for the seat but is not expected to be a major player. Bongino has a massive grassroots network leftover in Maryland, and he’s cemented his conservative bona fides among the national conservative media. He’s widely seen as a popular conservative media figure. 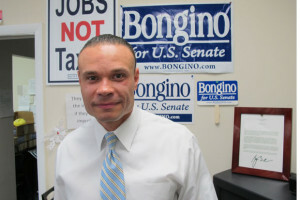 Bongino certainly knows the issues, and his name recognition is strong nationally. Perhaps his candidacy will be a game-changer in Florida politics. Florida’s primary election is set to be held on August 30.